The latest set design using Clayworks has been created by Storey Studio for Wallpaper Magazine. 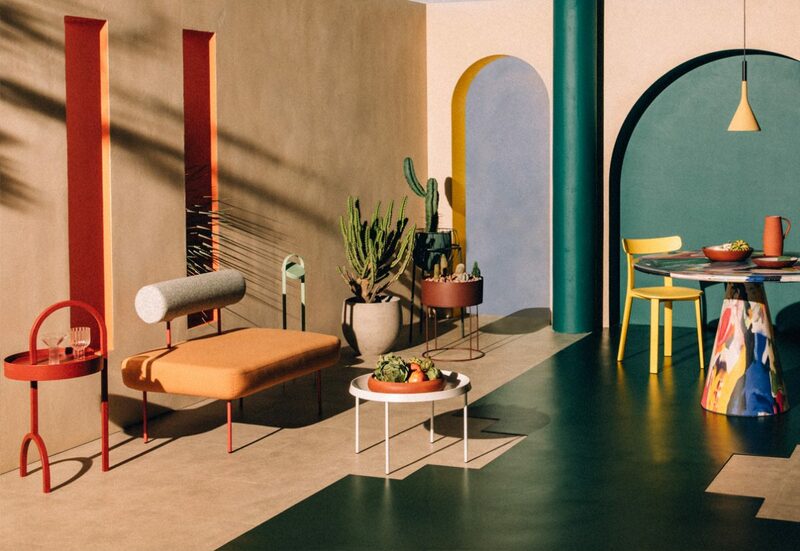 Moroccan inspired, the dreamy mood-scapes were inspired by the studio’s summer adventure, according to Robert Storey. Storey’s design demonstrates everything that is unique about clay plasters: exciting and impactful, understated yet exquisite, natural, textural, tonal, tactile and truly sophisticated. Eloquent and sublime to eccentric maybe even non conformist and rebellious. And fun. 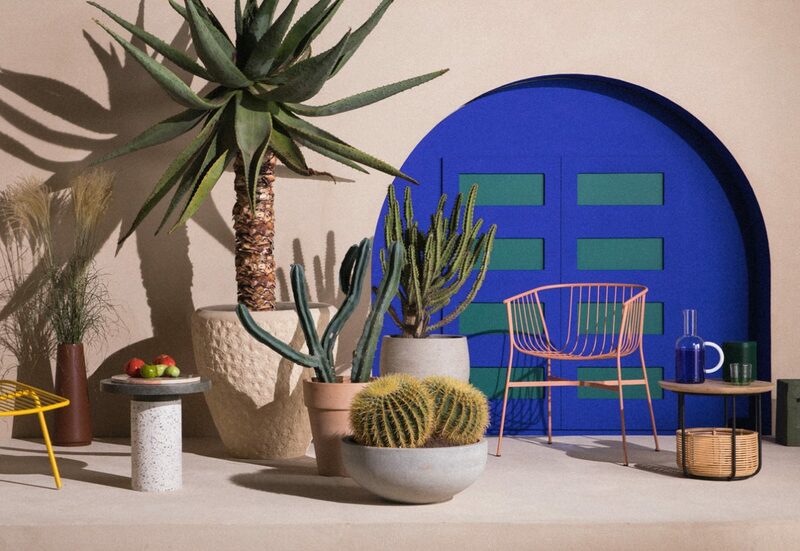 A flax colour in a tonal finish provides a perfect blank canvas on which to showcase strikingly coloured objects and architectural features, a backdrop for a layer of fantasy that takes us all back just a few months to Mediterranean courtyards with their arches, tropical plants and vivid colours. The architecture and use of materials in Moroccan buildings has always fascinated us and inspired our own journeys to this beautiful country to enjoy other plaster techniques such as Tadelakt (a local lime based plaster with a beautifully polished finish that has inspired some of our own Tonal finishes) and also the use of both rammed earth (pisé) and adobe. Floors and roofs are often made with palm wood, canes and earth: all natural, healthy materials. Nurturing creative projects from initial conception, Storey Studio is a diverse team of designers and artists with skill sets ranging from architecture, interior and graphic design to sculpture and textile design. Working fluidly between these disciplines Storey Studio explores the concept of space, challenging and immersing viewers into engaging and innovative environments. As featured in Wallpaper Magazine. For additional photos please see our gallery feature.